How much time do you spend thinking about the security of your construction company data? If you are like most in the construction industry, you are probably focused on keeping your current projects on time and within budget. Perhaps even preparing the next bid simultaneously? Many construction companies have been slow to buy into computer technology, and slower still to recognizing their own data vulnerability. Secure data is of the utmost importance, especially for companies that deal with a lot of financial information. Sure, you are vulnerable to spying from competitors, but it’s the risk your clients and employees face that matters most. Employment records, financials, and blueprints – it is all vulnerable to theft. You are also a potential victim of ransomware attacks. This is when hackers hold your data access hostage, releasing it only once they’ve received a payout. It’s a scary world – one in which you should never leave your data unprotected. Here are 5 ways your construction company can secure its data starting now. One of the biggest changes technology has made for construction companies is the ability to be constantly connected. Tablets, laptops, and smartphones increase productivity and efficiency but are also more vulnerable to security issues. By using data encryption, you can protect these devices more than they would be otherwise. Your servers likely house old, unused data that could be at risk for an attack despite its age. By using a tiered system of data archiving, you can move this older data – including client financial and employee records – off of your primary servers and onto a separate, more secure system. By establishing levels of authorization to access data, you’re minimizing your risk. A system for shutting down access whenever it is needed and disaster recovery optimization are also best practices. Whether somebody within the organization falls prey to a phishing expedition or an employee leaves, how do you handle it? You need systems in place that immediately shut off access and secure your data so they will no longer have the permissions necessary to access company information. If it does not already, your construction should install firewalls and antivirus software. Taking this a step further, you must also make sure that you update them regularly. Many security tools can alert you to malware intrusions and attempts. Don’t take these alerts lightly, or you could minimize the effectiveness of these tools all together. We highly recommend that you backup your data regularly, and store it offsite or in the cloud using a secure, encrypted system. Data backup is such a critical piece of operating a business with any type of data. Even copying critical data to an external hard drive is better than nothing. There is always risk associated with carrying sensitive data on your servers. The more high cash-flow the company, the more of a target you will become. 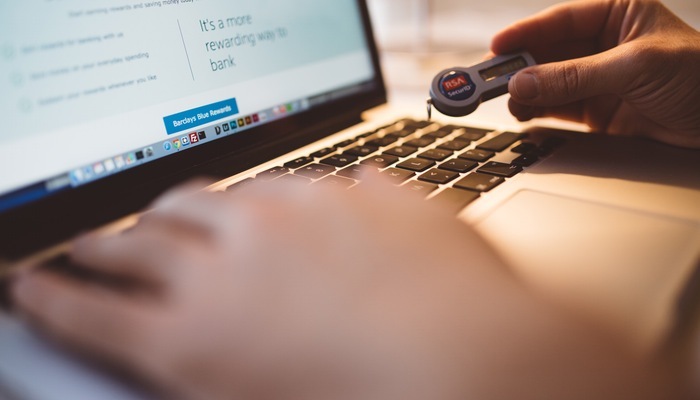 Data breaches and other cyber security mishaps can be extremely expensive and potentially devastating to your business. Roughly half of small businesses that are victimized end up going under within a year of a security breach, a statistic which includes construction companies. That is why it is so important to be realistic and proactive. At ShareArchiver, our data management systems are designed to help you improve your data security. We move that older, sensitive information off of you active servers keeping your system performance high and costs low. Contact us today at (855) 927-2448 for a free trial or to learn more.